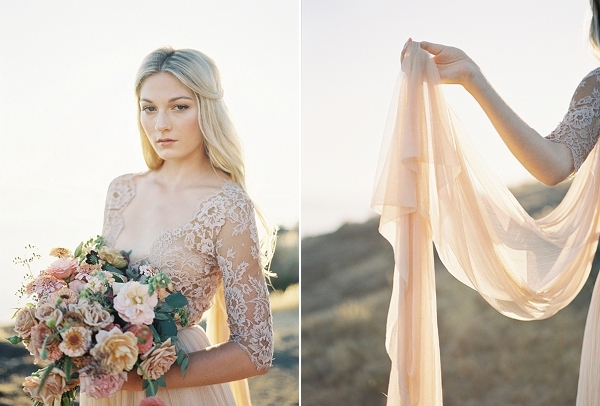 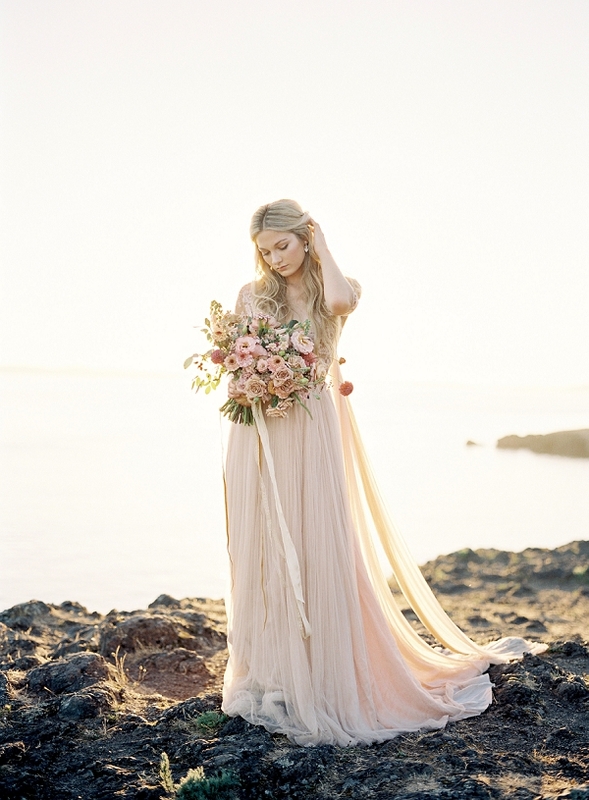 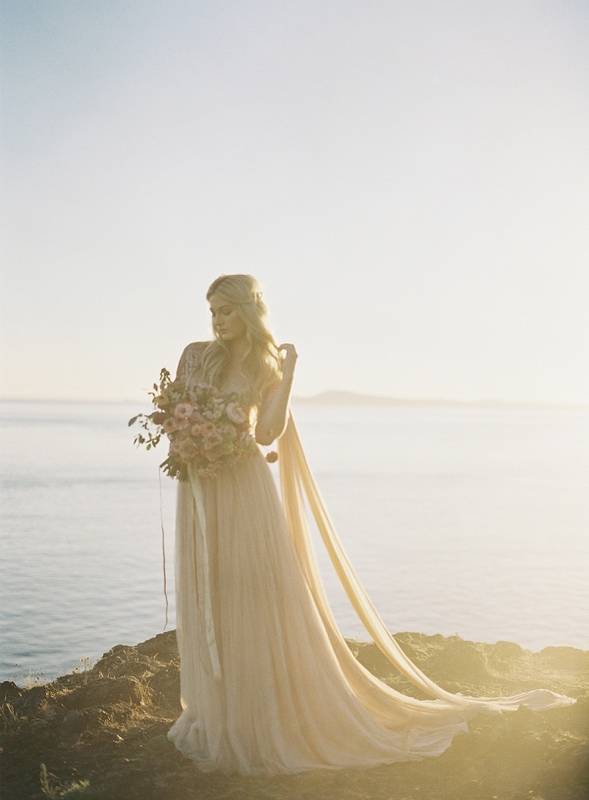 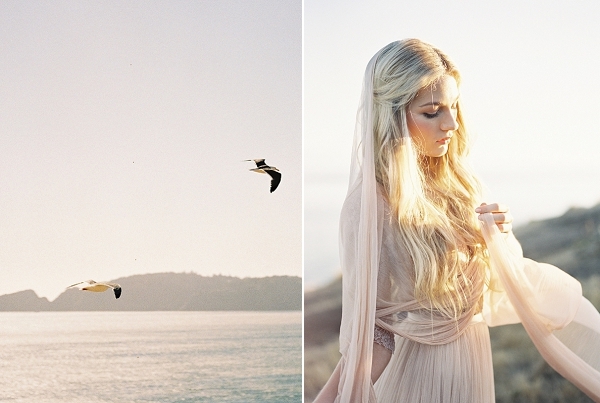 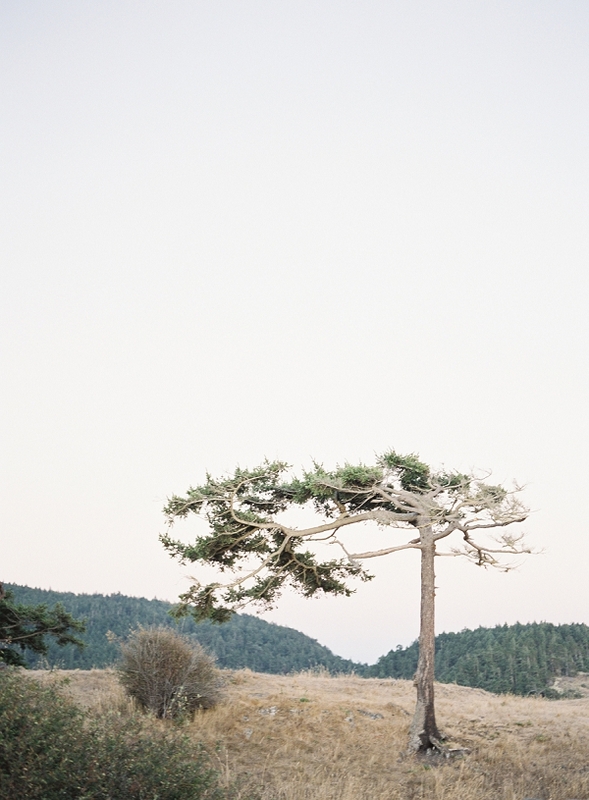 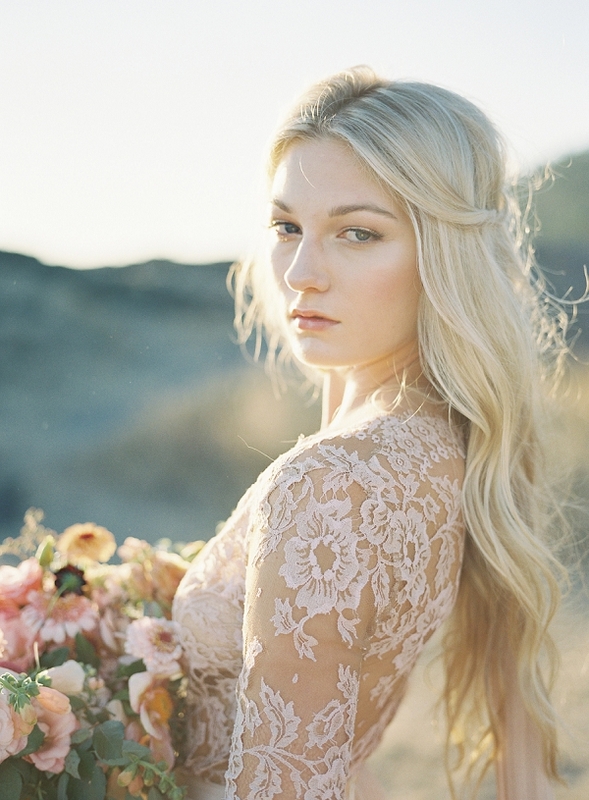 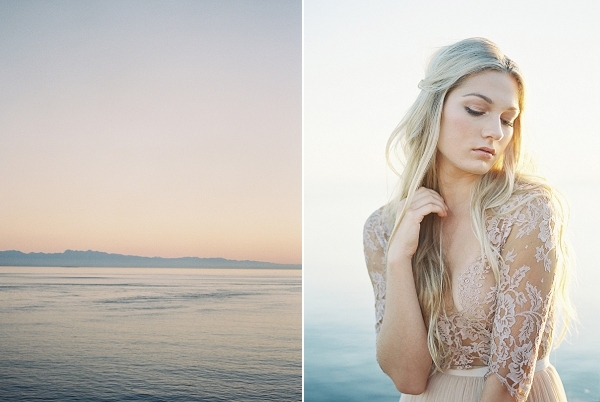 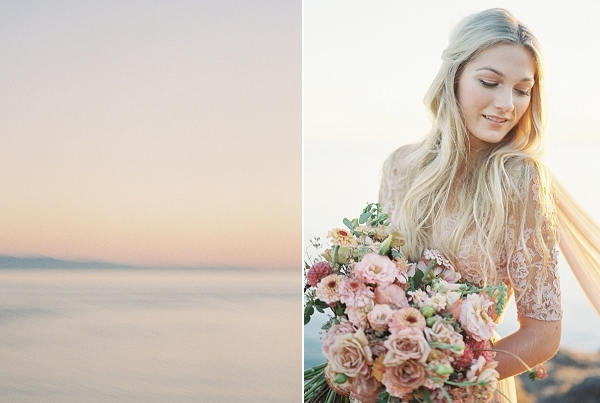 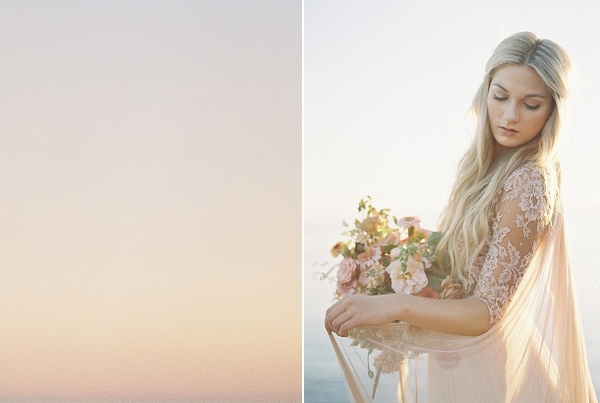 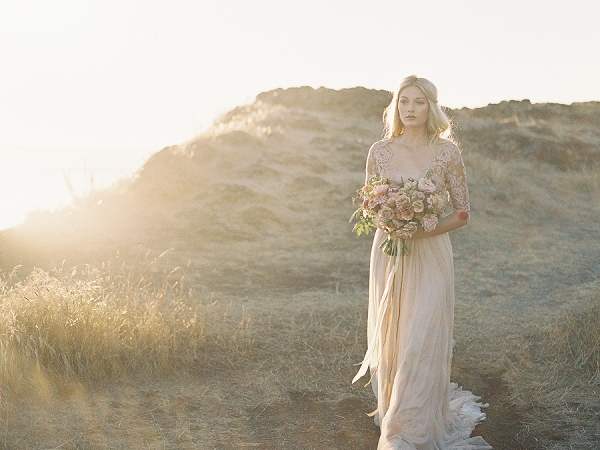 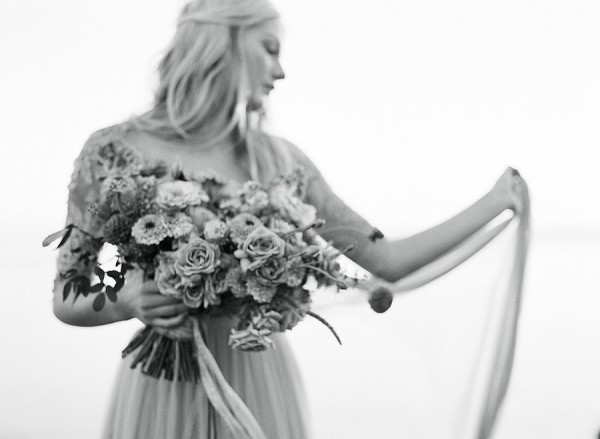 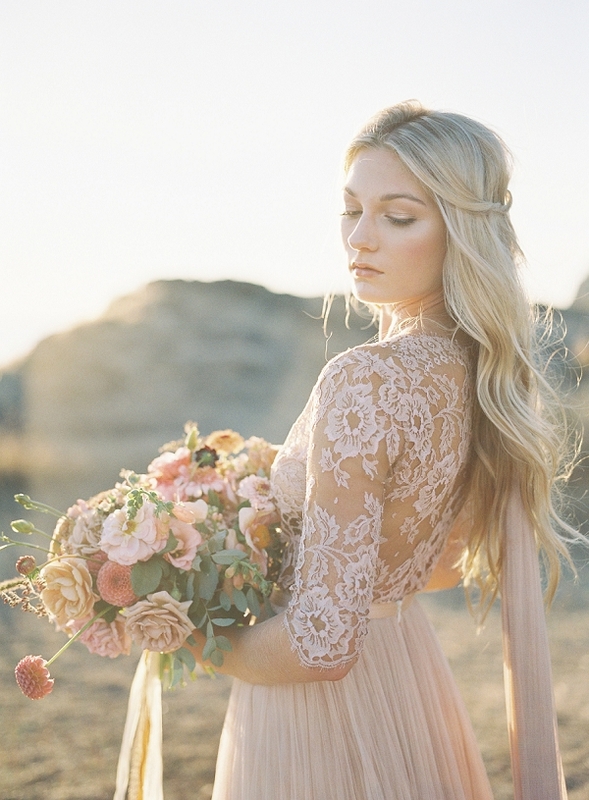 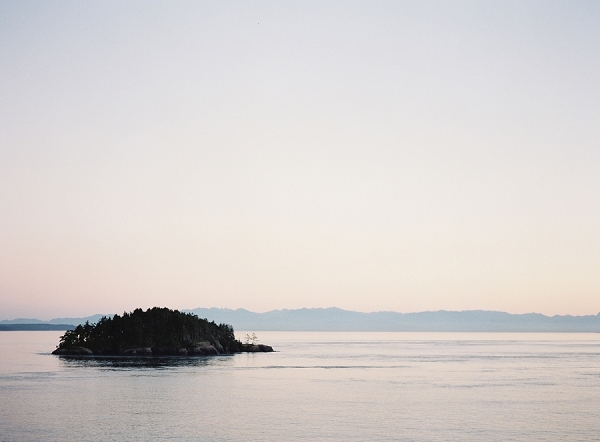 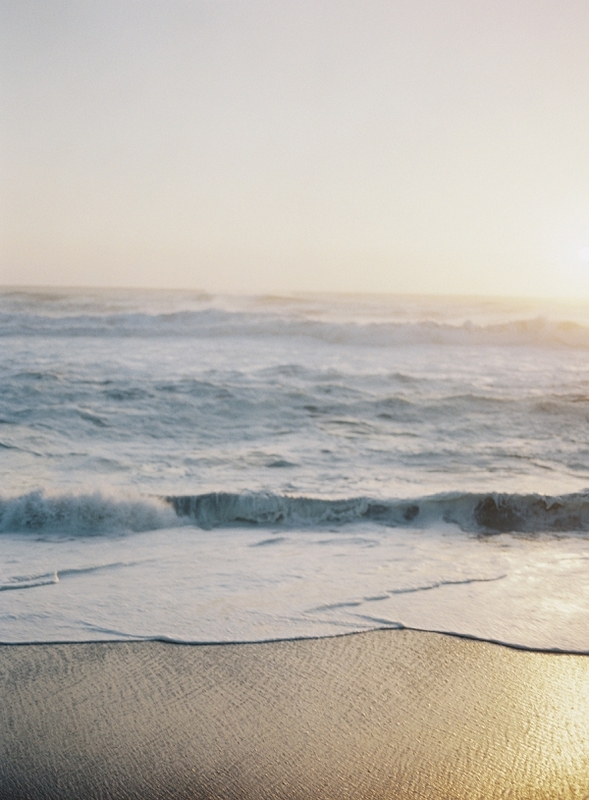 We simply can’t get enough of the soft, ethereal light and stunning scenery in this breathtaking coastal photoshoot from Heather Payne Photography! 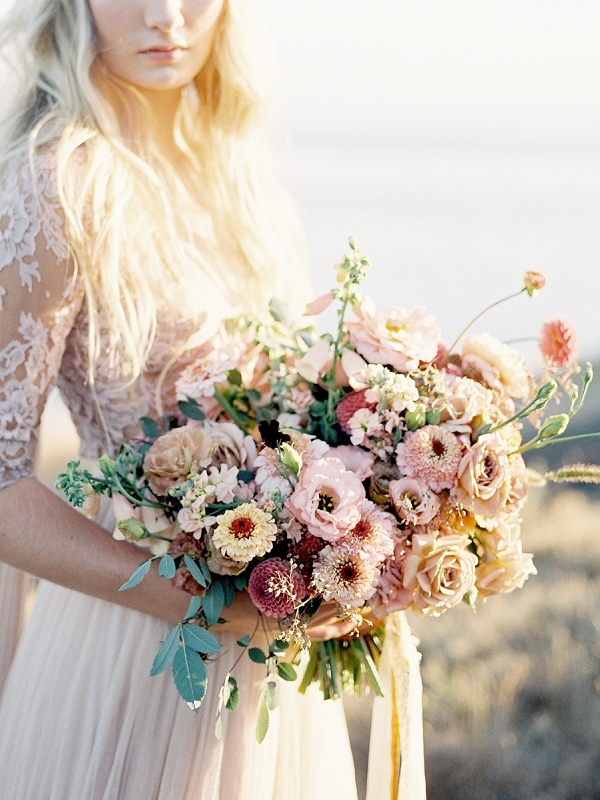 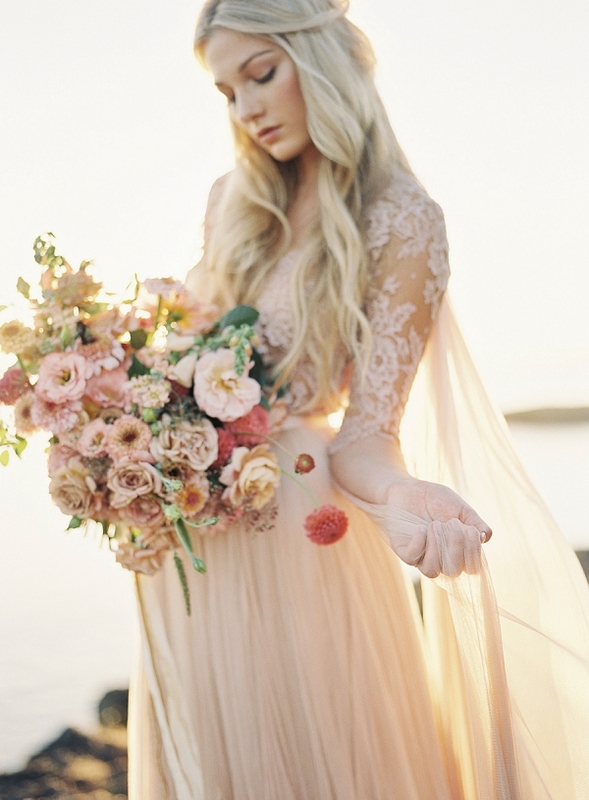 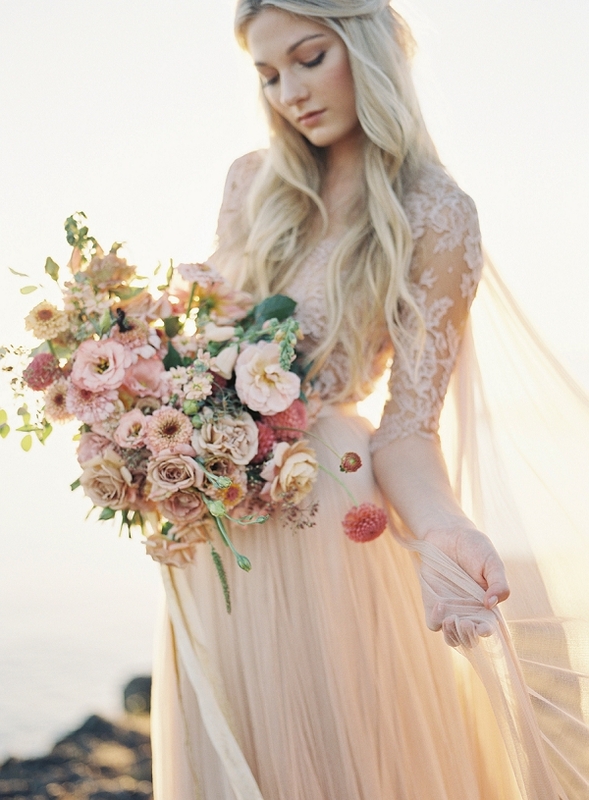 Equally dazzling – the organic, textured bouquet by Foret in a rich, sunset palette and an amazing blush, wedding dress by Emily Riggs Bridal. 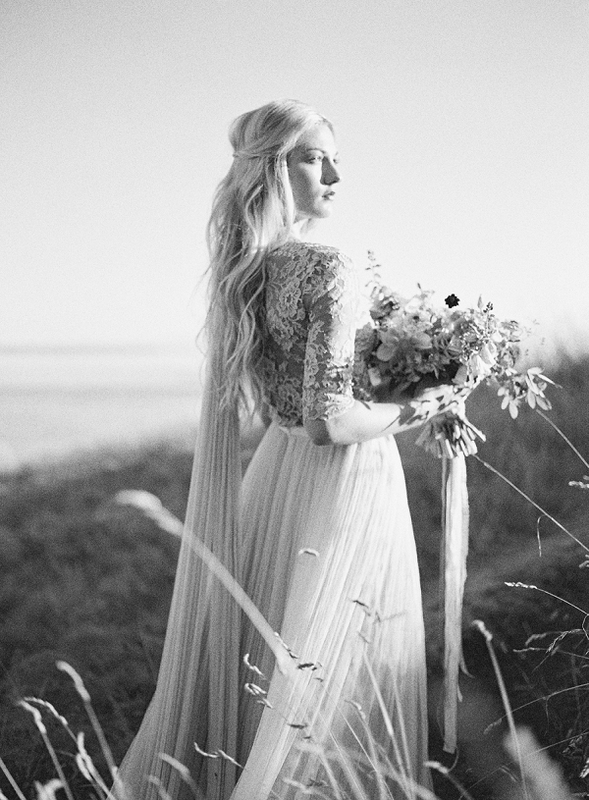 Absolutely enchanting! 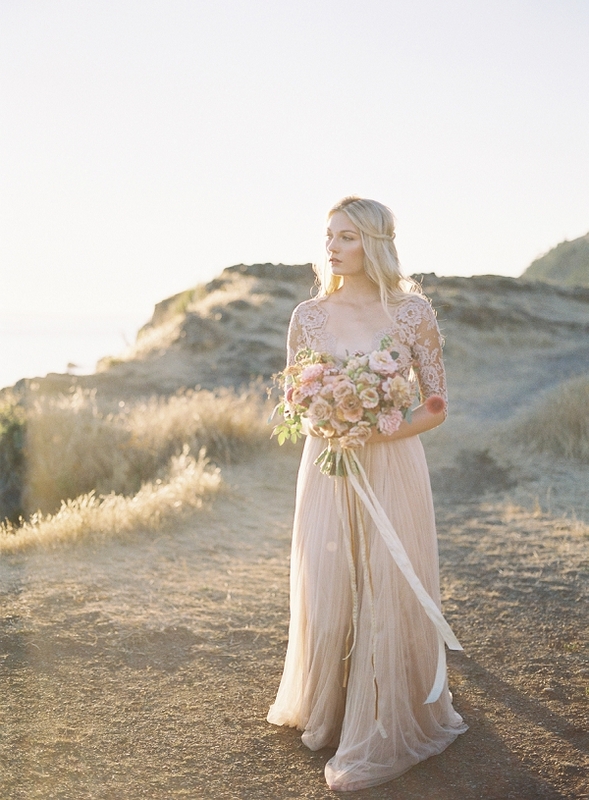 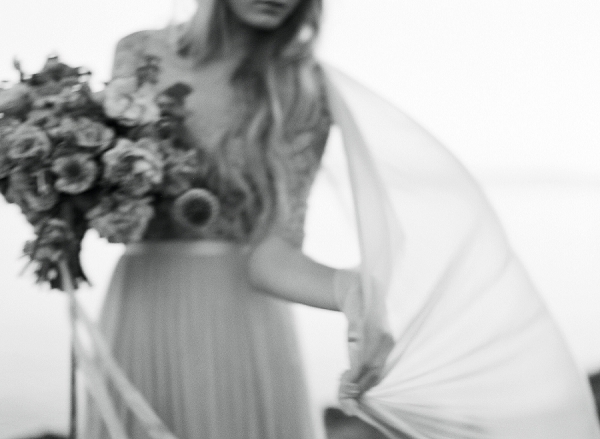 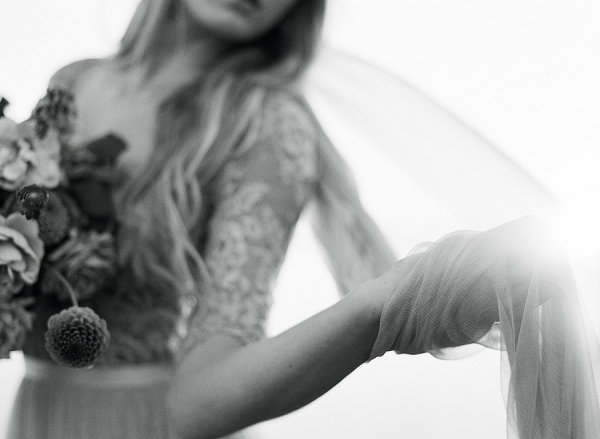 From Floret: With the rugged beauty of the Washington Coast as a backdrop, this gorgeous Emily Riggs Bridal “Primevere” gown glows with elegance and romance. 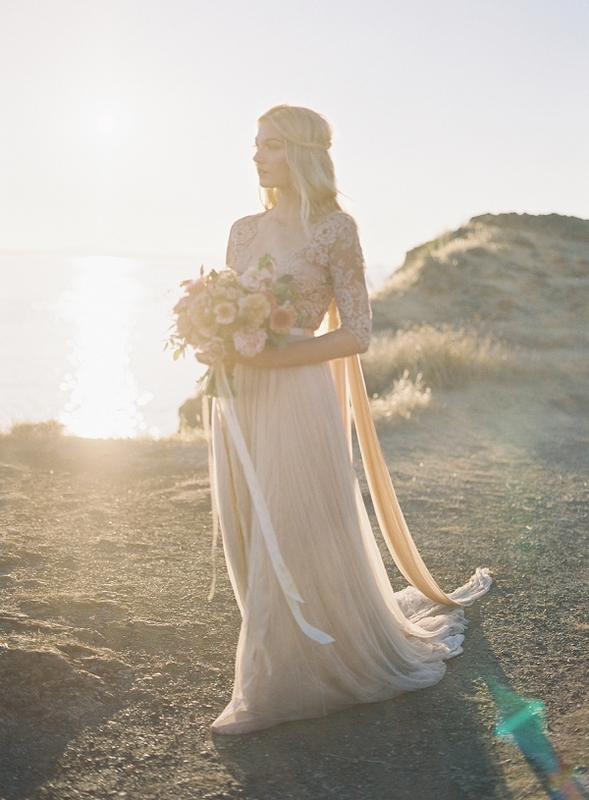 The golden light of the setting sun highlights the dusty blush ‘Morganite’ color and the touches of bronze undertones created by two layers blush silk tulle atop silk georgette and silk charmeuse. 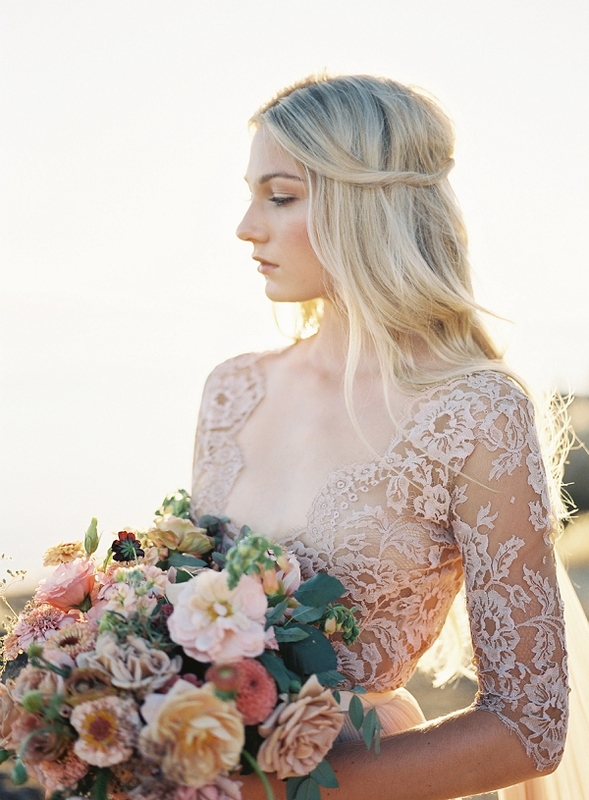 Featuring a beautiful French floral lace bodice with a gracefully scalloped neckline, the gown is perfectly paired with an organic bouquet of seasonal dahlias, specialty zinnias, lisianthus garden roses and other blush blooms grown and designed by Floret and styled and captured beautifully by Heather Payne.